It's a disposable place we inhabit, and, as the world opens up to us as never before, the bubbles we encase ourselves in grow smaller and thicker. It is as much of a choice to ignore that which we find distasteful as it is to lend a compassionate hand. How an individual chooses to act in the face of the uncomfortable speaks volumes about their character and their priorities. Case in point: homelessness. Homelessness is a chronic problem in America and its continued existence demonstrates profound failures of our political system, our social system, and our medical system. A recent report from the Policy Advocacy Clinic at UC Berkeley indicates that in San Francisco, a city often mislabeled as a gleaming bastion of liberalism and social welfare, the homeless problem is only getting worse. 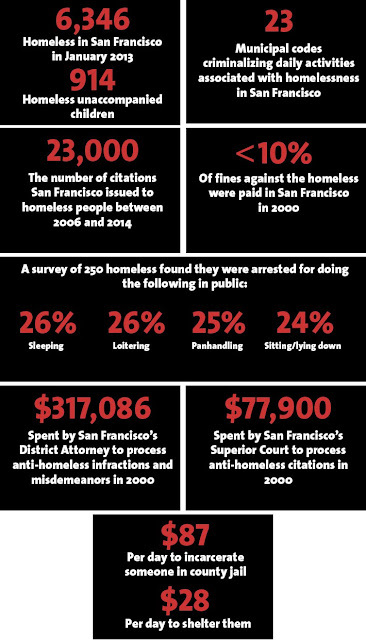 The 2013 San Francisco Homeless Count and Survey found 6,346 homeless people plus 914 homeless unaccompanied children. This Count, though, has been much maligned as being woefully inaccurate and missing so many more. For example, there is a clear discrepancy between how many students San Francisco Unified School District says are homeless (2,100) and how many homeless school-age children were found during the 2013 count (no more than the 679 people in families counted during the count, plus 134 unattended youths under 18 years old discovered on their own). The 2015 Count was done on January, but that number have not been released. 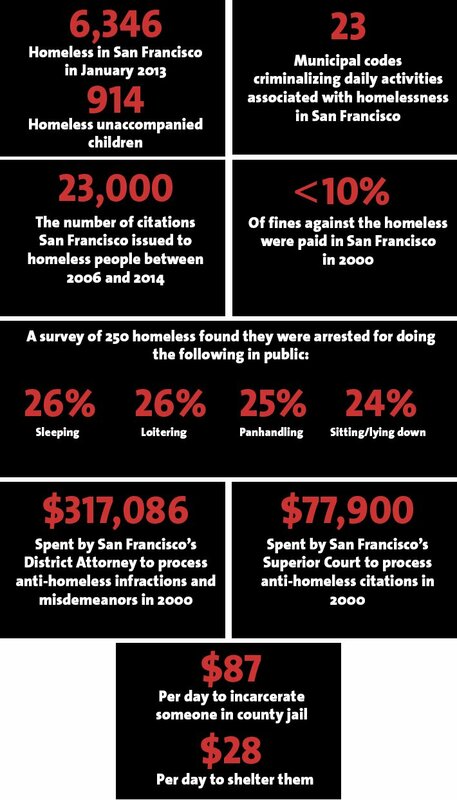 From casual observation of, and anecdotal evidence about what is going in San Francisco in the last two years, though, I expect that number to have risen. Jason Little has subverted Marshall McLuhan’s phrase, “The medium is the message” in a profoundly fundamental way that breeds an emotional ferocity that otherwise might not have been available. Borb is unrelenting in its depiction of the truth of an aspect of the homeless issue from which so many of us turn our heads. The system is broken. We are to blame. There are people, human beings, somebody’s son or daughter, dying daily on the streets of our country all because we would rather stare into our phones and think it is somebody else’s problem. It’s not somebody else’s problem. As it has been said over and over again by much smarter people than I, what sort of society are we at heart when the most needy among us lie wasting away in pain on our streets? Jason Little pulls no punches with Borb. He throws straight jabs into our complacent faces. Hopefully as our eyes swell up from this attack, we might actually begin to see things for what they really are. You can buy Borb at Uncivilized Books’ online shop.